It seems that at this point, Donald Trump yearns for the disapproval of the public. Comments made by Trump during a video from 2005 are only the most recent addition to the Republican candidate’s long list of misdemeanors. Trump then exclaims how a beautiful woman acts as a “magnet” to him, and that he, “doesn’t wait,” which heavily implies a lack of interest in the consent of the woman in this outrageous scenario. The duo then begin to discuss the privileges of being a star. Trump states that fame allows him to practically, “grab them by the p---y,” and that he, “can do anything.” The candidate attempts to justify sexual harassment with his fame. When the two men rendezvous with Zucker, the inappropriate comments, unfortunately, do not die down. Bush asks Zucker if would rather “be with” Trump or Bush, to which the latter awkwardly replies “both”. 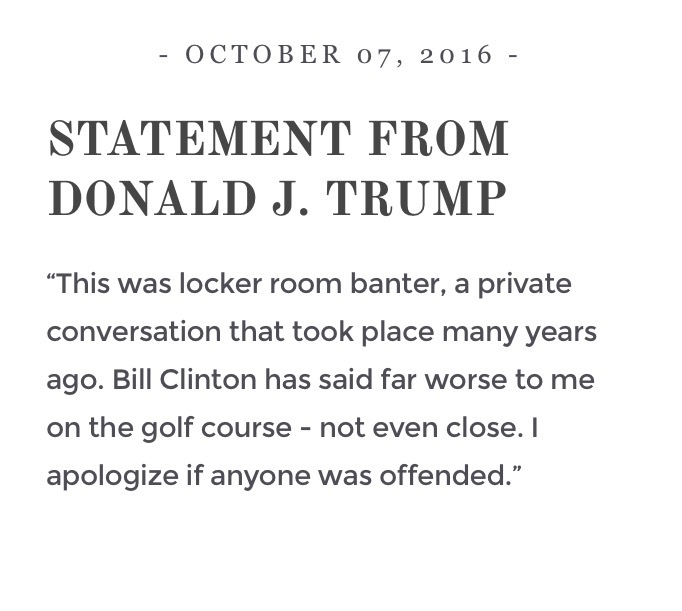 Trump starts by negating his comments, dismissing it as mere banter from years in the past. He then decides to bring the Clintons into a situation they had no involvement in. 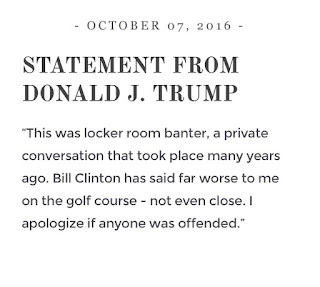 Needless to say, this “apology” didn’t make up for any of the things he said. To say that we’re surprised at this point would be an utter lie. 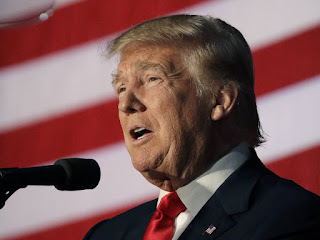 Hopefully, with each of Trump’s completely inappropriate acts, more and more of the general public starts to realize that this man is not suit to be president.